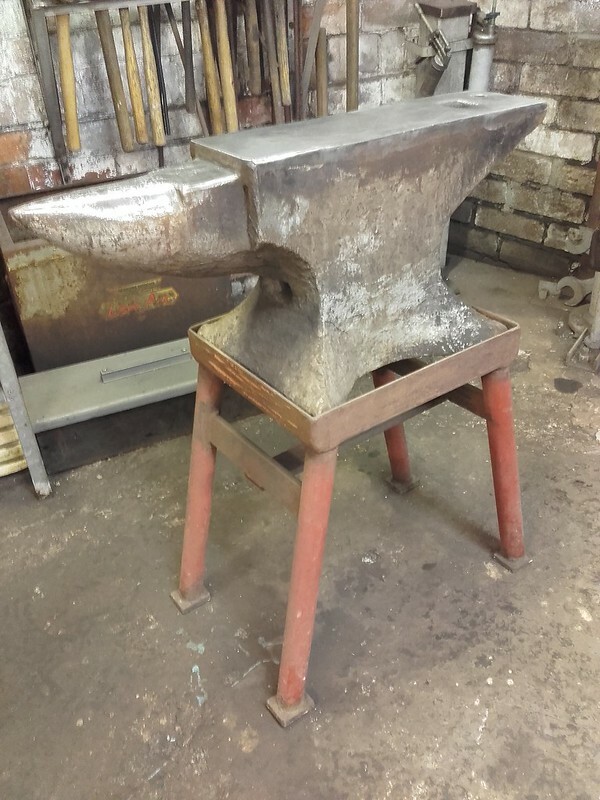 I made this steel stand for my big anvil when I first got it, a few years ago. Now, steel stands have their good points. They are quick and simple to make, from whatever metal you have about. 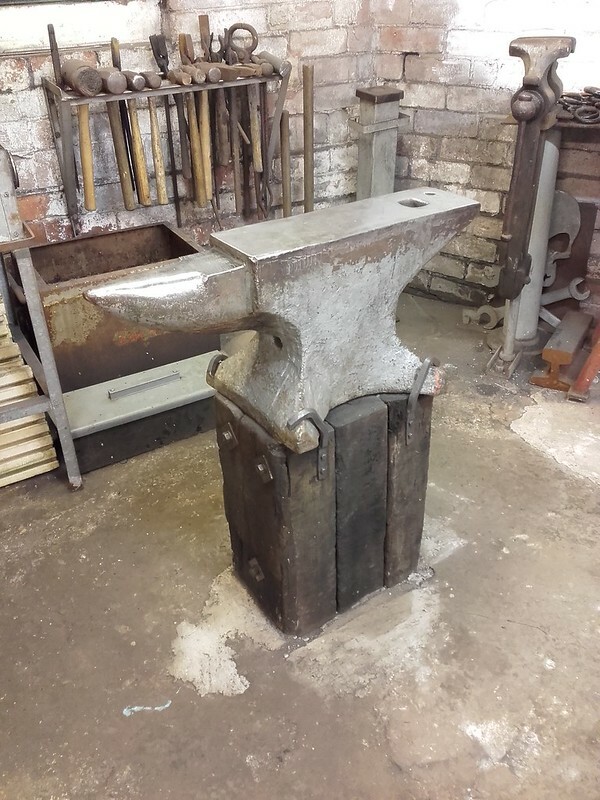 And for those of us who work in small, cramped shops, give you the ability to move the anvil out of the way if you need the space for something else. However, they also make the anvil noisy, kill the rebound, and let's be honest, how many times do I really want to move a four hundred pound anvil about? 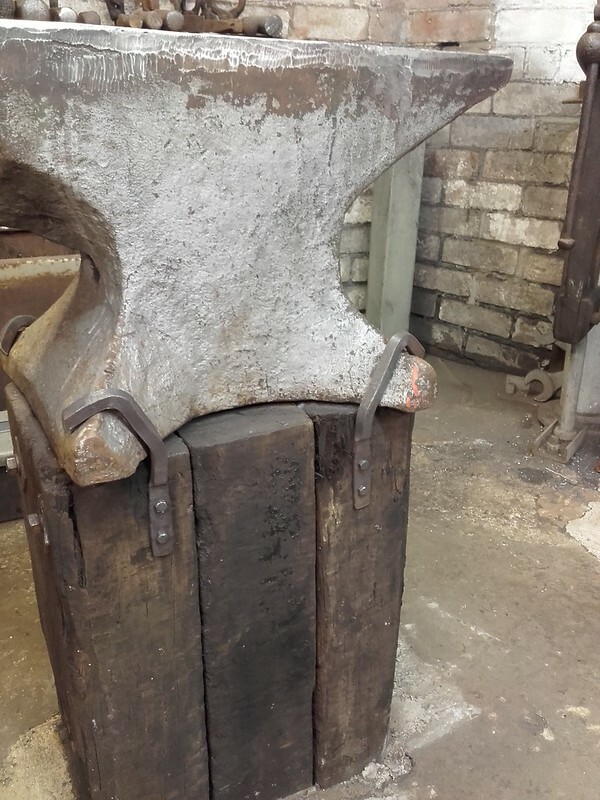 There's a reason why traditionally anvils were always placed on a timber stump set into the ground. It's not just tradition, they really do work better that way. I'd been looking around for a suitable sized length of tree trunk, but not having much luck, when a friend said he had some old railway sleepers he wanted rid of. Next-best thing, I thought. First job on it was to forge the four hold-downs. The difference is surprising. It's really like a different anvil. Quiet clear ring, and perfect rebound. Wish I'd done it years ago. Re: Anvil. Stumped, at last. How many of those, 'I must do this one day' jobs result in us asking "Why didn't I do this years ago?" question of ourselves. Looks good, and you say it sounds good too. Not into metal bashing but admire the end results of the hobby. Farm over road has one hanging about but not needed it yet! Mate in next village dead I could have a go on his forge years back, this reminds me I need to call in that favour.